Founded in 1841 by a family of painters, Flood® Wood Care is an expert in exterior wood care so you don't have to be. Flood® Wood Care carries products to help make wood staining easier and their website even gives you a fun walkthrough. The Staining Made Simple guide allows you to select the projects you are looking to tackle this summer and give you some help to complete it. If you are going to do some wood staining outdoors, whether it be a small project like mine, or something huge like an entire deck, I hope you'll give Flood's Staining Made Simple tool a try. And be sure to enter the Flood Better Backyard Sweepstakes, where you can win a $1,500 Gift Card to Make Your Backyard Better! Click the above link to enter...last day to enter is 5/17/2013. Sweepstakes rules: NO PURCHASE NECESSARY. Legal residents of the 50 United States of America and (D.C.) 18 years and older. Ends 5/17/2013. To enter and for Official Rules, including odds, and prize descriptions visit www.facebook.com/flood. Void in Puerto Rico and where restricted or prohibited. This Sweepstakes is in no way sponsored, endorsed or administered by, or associated with Facebook. You understand that you are providing your information to Sponsor and not to Facebook. For more information on Flood Wood Care products, just click the pretty purple button below. Now tell me, what staining projects do you have planned this spring/ summer? I, too, have tons of painting and repairs to do outside. 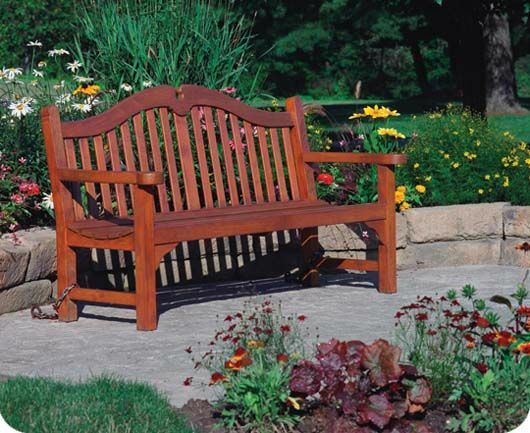 If I were to post a picture of the bench I have out there, you would probably be proud of the way yours looks! Sounds like a good product. 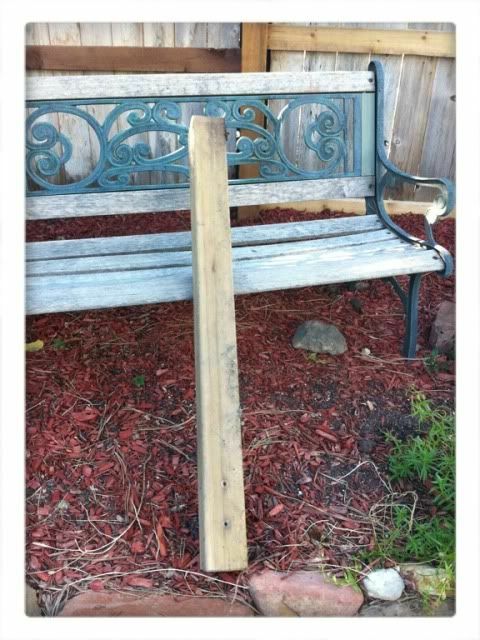 I've thought of staining my potting bench, but not sure I will.